Eugenic Archives: "Indiana Society for Mental Hygiene Bulletin No. 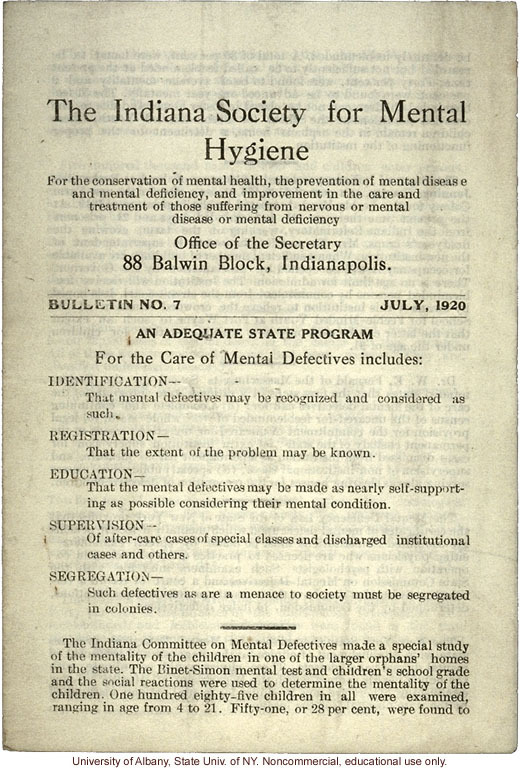 7" (July 1920), statistics on mental illness and feeblemindedness in institutions around the U.S.
"Indiana Society for Mental Hygiene Bulletin No. 7" (July 1920), statistics on mental illness and feeblemindedness in institutions around the U.S.